BRISKET KING OF NYC RETURNS ON WEDNESDAY, APRIL 19TH, TO THE OLD PARAMOUNT THEATER AT THE FOOD SCIENCES ACADEMY OF LONG ISLAND UNIVERSITY BROOKLYN (DOWNTOWN, FT. GREENE, BROOKLYN). JOIN US FROM 6-9:30 PM. EARLY BIRD AND VIP TICKETS ON SALE HERE. 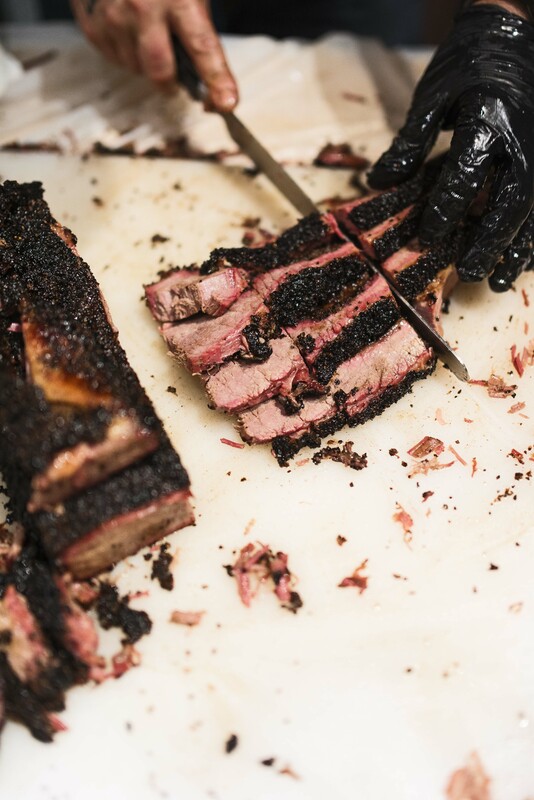 NEW EVENT ALERT: THERE WILL BE A “BRISKET TALK” AT HOMETOWN BBQ (RED HOOK, BK) AT 6PM ON APRIL 18TH. EMAIL FOR RESERVATION ($10 ADMISSION, PAY AS YOU GO). The sixth annual Brisket King of NYC will be adding a “Golden Calf” trophy to the King’s Crown. This year’s event is on Wednesday, April 19th, from 6:00 to 9:30 p.m. and is being hosted by the Food Sciences Academy of Long Island University Brooklyn (located in Downtown Brooklyn at the corner of Flatbush and DeKalb). In addition to Carbone and Durney, other co-hosts of the event include Brisket King co-founder Jake Schiffman (The Food Network), Jonathan Deutsch (Drexel University), Annie Hauck-Lawson (Mompost), Mory Thomas (f/o Food Network), Cricket Azima (Kids Food Festival) and Brisket Kings Dan Delaney (Delaney BBQ) and Billy Durney. This year’s sponsors include WÜSTHOF and Guinness. The charity partners are Brooklyn Rescue Mission (Community Garden and Food Pantry) and Heritage Radio Network. Looking to compete or interested in being a sponsor? E-mail us today and we’ll reply with more information. As a participant of Meat Week NYC, Ngam will be donating 20% of all proceeds through Wednesday to the American Red Cross. Also on Wednesday, the restaurant is holding free cooking demo at noon to make Pad Thai for local shelters that they will deliver along with donated garments. The word “love” frequently comes up when talking to Chef Hong Thaimee of Ngam, whether it’s an expressed love for the cuisine of her native Thailand, her love for fresh local ingredients, or the atmosphere of love she strives to create at her restaurant in Manhattan’s East Village where she serves modern Thai comfort food. Having spent years laboring over her grandmother’s stove learning the fundamentals of Thai cuisine, Hong pooled her savings to travel to Paris, the Caribbean, and New York City in 2006. Her experience tasting and being exposed to a world of flavors influenced her style of home cooking, opening Ngam Restaurant in the heart of New York City’s East Village. Authentic Thai dishes like “Hung Lay” Braised Short Rib and Yum Jin Gai Very Rustic Chicken Soup embody Hong’s sensibility for serving locally and environmentally sourced ingredients, and introduce New Yorkers to traditional flavors from a professional American kitchen. To help all of our restaurants build their pantries back up after the devastation of last week and power shortages, FarmersWeb is offering FREE delivery to all NYC buyers until Friday, and (in general) promoting the purchase of sustainable food from our featured farms to help build up New York’s local economy.